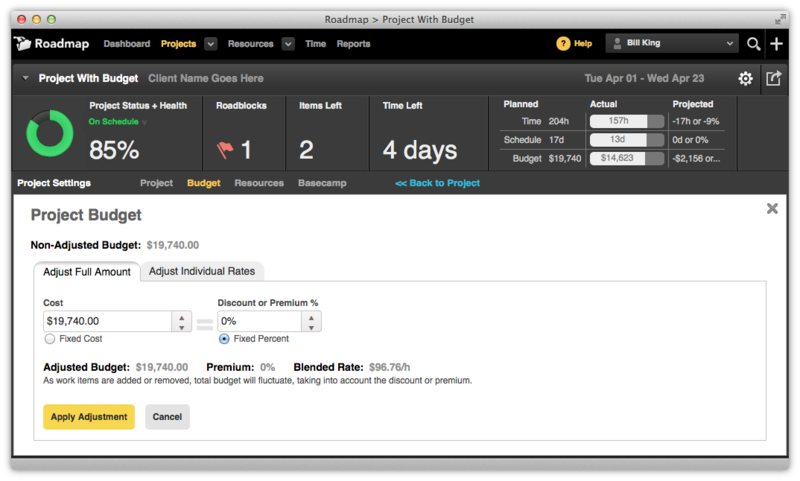 Combining billable rates with planned / actual time allows you to monitor and compare projects in labor cost terms. 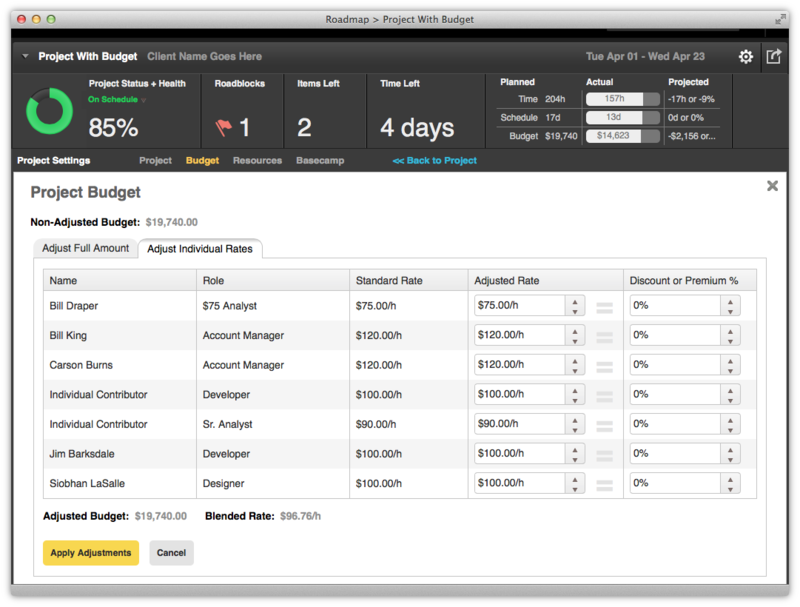 Note: billable rates feature is only available to Plus or higher plans. Go to the Resources Tab > Project Roles to enter the standard rate for each project role. Standard rates provide the baseline or "non-adjusted" project budget. Compare planned vs. actual vs. difference on the Projects Tab . The Time Tab displays the Std Rate, Adj Rate and Cost columns, which are included when exporting to Excel.